I live at the end of a dirt road on 40 acres. My definition of luxury is the fact that Amazon Prime delivers here. So when I decided to order a sauna for myself, I seriously considered not telling you about it. 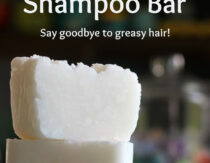 It sounds too luxurious, you know? But here’s the deal: When I first started reading about the science-backed benefits of saunas, I literally couldn’t shut up about them. Ask my husband. Husband: Mimi has invited the kids over to play on Saturday afternoon. Me: Did you know that saunas activate heat shock proteins that have been shown to extend the lives of C. elegans worms by 30%? Also, they stimulate the production of collagen and help the body eliminate xenobiotics and heavy metals. Y’all, seriously, I can’t stop talking about it. The more I research, the more benefits I discover, which is why I decided to invest in a Clearlight Infrared Sauna from Jacuzzi®. Now if you’re thinking, “Wait, I didn’t know Clearlight was made by Jacuzzi®,” here’s the deal: Clearlight Infrared® was founded by Dr. Raleigh Duncan 20 years ago, and because of the company’s reputation for craftsmanship and quality, Jacuzzi® recently partnered with them to make sauna therapy available to more people. Clearlight is still owned by Dr. Duncan and Andy Kaps, and they continue to oversee manufacturing and quality, but the saunas now carry the Jacuzzi® name. If you’ve never hear the story before, Jacuzzi® started out as a wellness company when one of the original Jacuzzi® brothers built a bathtub pump to ease his wife’s fibromyalgia symptoms. They’ve been focused on hydrotherapy ever since, but are now also focusing on infrared saunas as a natural complement to hydrotherapy. Jacuzzi® won me over with their non-toxic materials and ultra low-EMF/ELF heaters, and they turned out to be a much better value than I was expecting. 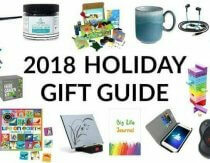 Spoiler alert: At the bottom of this post you’ll find info on how to get hundreds of dollars off, plus a free backrest and aromatherapy holder. But first, here’s why I love my sauna. Infrared light, which we experience as heat, is the invisible part of the sun’s spectrum. Although we can’t see it, we can feel it in the warmth of sunshine on our skin. The far infrared wavelength – which is present in all Clearlight infrared saunas – is highly beneficial, penetrating deeply into tissues to induce a detoxifying sweat. It’s so safe it’s used to keep babies warm in the NICU, and our bodies radiate it naturally. (source) It’s the warmth you feel when you get a hug, and it’s the one I would pick if I had to choose just one resonant wavelength. The owners of Clearlight designed two distinct models: Clearlight Premier and Clearlight Sanctuary. Far-Infrared – Have you ever seen the old Memorex commercial where Ella Fitzgerald breaks a wine glass with her voice? What you witnessed was her voice tapping into the resonant frequency of the glass – also known as the frequency at which a particular object begins to vibrate. Our bodies have a resonant frequency as well, and it just so happens to be on the far infrared wavelength. Some experts believe that it’s one of the reasons far infrared has such a healing and restorative effect on people. Mid-Infrared – While the far wave heats up the body’s core quickly to produce a detoxifying sweat, the mid wave penetrates the soft tissue to increase of the delivery of oxygen and nutrients. Near-Infrared – Helps raise core body temperature and relax muscles. Supports collagen production. However, like mid-infrared, it doesn’t have the resonant frequency that far infrared does. 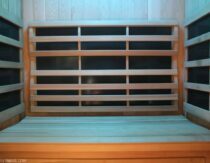 Some sauna manufacturers use toxic glues or chemically-treated boards in their saunas. As the sauna warms up these materials off-gas into the inner-cabin . . . not exactly the kind of stuff you want to breathe while you’re trying to detox. Clearlight saunas use Forest Stewardship Council (FSC) Certified Basswood or Western Red Cedar that is sourced from Vancouver, Canada and water based, non-toxic glue. You choose which wood you prefer – both are durable and maintain structural integrity in extreme temperatures. Their saunas are 3rd party tested both cold and hot for volatile organic compounds (VOC’s), which can be either synthetic (i.e. toxic glues) or naturally occurring (like the aromatic oils found in cedar). A VOC is simply a substance has the ability to evaporate, so lots of things are VOC’s, but there’s a HUGE difference between the evaporation of lavender essential oil (which contains therapeutic constituents like linalool) and, say, gasoline. I love the way my cedar sauna infuses the air with a forest scent when it warms up. It’s very subtle due to the species that is used (Thuja Plicata), but it’s incredibly relaxing. However, for people who are extremely sensitive to fragrances – or just prefer blonde wood – the basswood is considered a better option because the new wood scent is eliminated after about 2 weeks of use. There’s also a higher supply of Basswood which keeps costs lower, so you can get a little price break if you opt for it. Many infrared saunas emit high levels of electromagnetic radiation (EMF’s) along with extremely low frequency (ELF) radiation, but the True Wave™ carbon/ceramic heaters used in Clearlight saunas literally cancel out EMFs when they’re turned on, and special shielding is used to make the sauna low ELF as well. 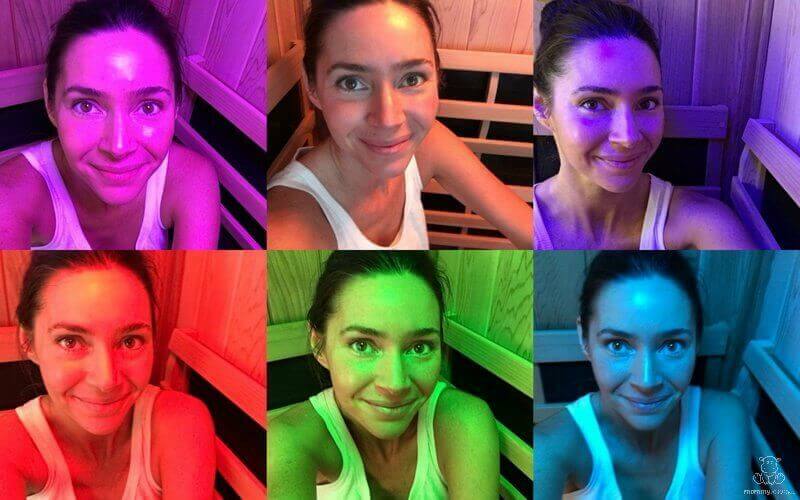 Their saunas have been third-party tested and validated as very low-EMF and ELF – the full test results are available on their website. If you want to dive deeper into this subject, this page goes into great detail about how Clearlight saunas shield against EMFs/ELFs and why that’s so important. **One thing I worth mentioning is that there are Bluetooth capable speakers for people who want to play music via their phones or stream Netflix on a tablet. The door handle also doubles as a tablet holder so you can keep it away from your body. There is a switch to turn off the Bluetooth signal for those of us who are sensitive, and you can still use the sound system by connecting to the mp3 port (or jack). When I sauna at night I use red light exclusively so that I’ll sleep well, but when I do it in the morning I set the chromotherapy feature on automatic so that it slowly rotates through the whole color spectrum. Yes, this was a real factor for me. Unlike conventional saunas – which can take an hour or more to heat up – infrared saunas don’t work only by heating the air around you, but also by raising core body temperature directly. Instead of just hot air pushing against your skin, which can get rather stuffy, your body absorbs infrared directly as heat from the elements. When I turn on my sauna and step in at the 15 minute mark it’s pleasantly warm, and I get a good sweat going easily. That means that if my kids are playing well together I can usually sneak in a session – an hour to heat up is too long to wait! Because of the way it’s crafted, our sauna feels like a personal retreat. The heated air draws out the scent of Western Red Cedar, and the whole room feels emotionally grounding. It’s become a place for one-on-one, heartfelt conversations with both my husband and little ones – the kind that is so relaxed you want to slow down and savor it. I’ve also had some amazing moments alone, which is every moms dream, right? Jacuzzi® saunas are used exclusively in places like Beth Israel Hospital, Hippocrates Health Institute, and the Arcadia Cancer clinic – and for good reason. Their focus on craftsmanship is reflected in the 58 point inspection and 2 time testing that every sauna goes through before they get to the customer. Here’s a little about their quality standards in their own words. That said, what makes Clearlight saunas the best value in my opinion is that in addition to how well made they are, each sauna comes with a lifetime warranty – not just on a specific part or two, but everything. Remember how I told you that you could get hundreds of dollars off your order, plus a free ergonomic backrest and aromatherapy cup? I can’t actually publish the discount because it’s so much lower than their list price, but you can get more info over here. If you’ve been following me for awhile, you may have noticed that this is a different sauna company than I originally reviewed. That’s because I’ve updated my recommendation after several of you reached out to me regarding frustrating customer service issues. I still think the old sauna is good, which is why I donated it to my family doctor so that he could make it available to the families in his practice. 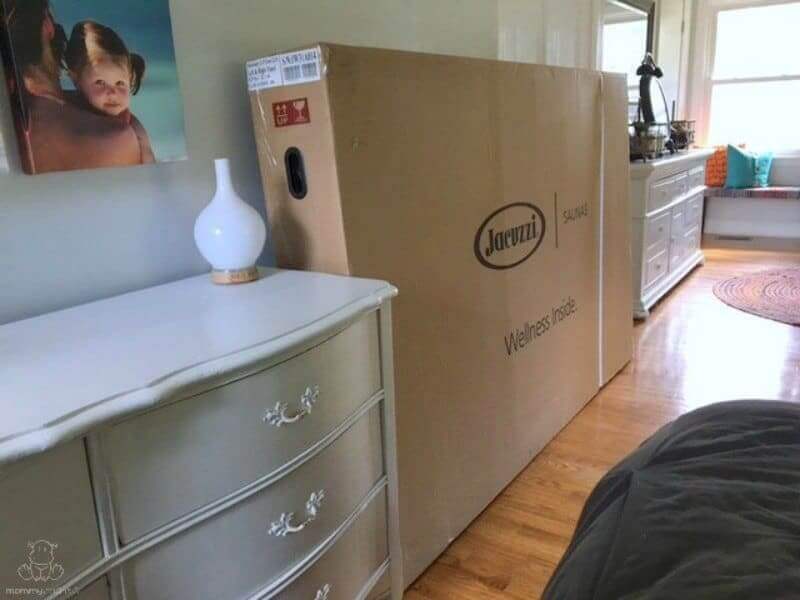 Because I’d paid for it out of my own pocket and didn’t have the budget to buy a new one – and yet still felt I needed to try a new sauna personally before recommending it – I gratefully accepted Jacuzzi’s® offer to give me a very good discount on this one. With 20+ years in business, an A+ with the BBB, a true lifetime warranty, and the backing of one of the most trusted names in the hydrotherapy (and now sauna therapy) industry, I’m confident that you’ll have a wonderful experience every step of the way. 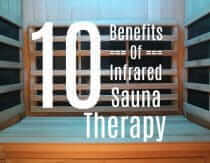 Do you think can people use infrared sauna after a week they get disport or Restylane fillers. Its ok >? or with the sauna the effect of that inyectable decrease ?? What is your opinion or what would recommend .. I would check with your dermatologist. 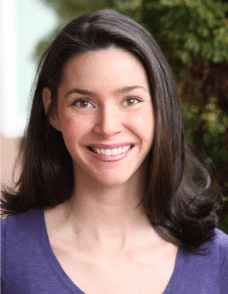 HI Heather, is sauna use safe while trying to conceive? Thank you for taking the time to reply! I appreciate all of your research! 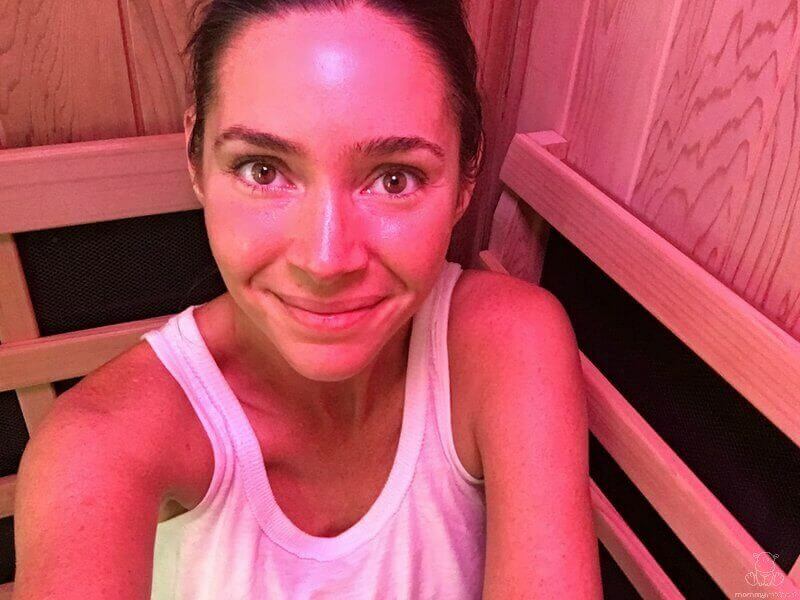 You mentioned that the infrared sauna doesn’t affect fertility, but I’m wondering if that’s true for male fertility. Wouldn’t the high temps reduce sperm count? I’ve tried to research this but haven’t found much info on infrared saunas specifically. Thank you! Does anyone have an answer for this? I’m a bit disappointed because we purchased one of the saunas yesterday thinking it was completely safe for us while trying to conceive, but now am reading about how any type of heat kills sperm and men should avoid all types of saunas while trying to conceive. 🙁 I’m also curious to hear from women who have been pregnant and regularly used the infrared sauna since I’ve heard conflicting research about this as well. Thanks so much. Hi Tara, you’ve asked a very good question. Unfortunately I’m not sure if there is a definitive answer. As I mentioned in this post (https://www.mommypotamus.com/infrared-sauna-tips/), different types of saunas/sweat lodges have been used by Mayans, Russians, Finns, the Japanese and other cultures. In Finland they are often used several times per week, and there doesn’t seem to be a cultural taboo against men using them when trying to conceive. That said, I looked for the research you mentioned and it seems it was a small Finnish study which found decreased sperm count in men that used a sauna for 15 minutes 2x’s per week. If the study was well-constructed (and I don’t see any reason to believe it wasn’t), that does support the conclusion that sauna use may temporarily lower sperm count. (The counts returned to baseline after a period of abstaining from the sauna.) Is the lowered count significant enough to affect fertility? I’m not sure. Another consideration is that traditional saunas run much hotter than infrared saunas, so it’s unclear how the findings apply. Interestingly, the near IR used in the chromotherapy feature is within the spectrum that has been shown in animal studies to positively impact testosterone when shined directly on the testicles. https://www.ncbi.nlm.nih.gov/pubmed/15838719 That doesn’t directly apply in this situation as the chromotherapy feature is installed in the ceiling, but I thought you might find it interesting. Thanks for your response. I wonder if it would be ok if my husband just used it at lower temps until we conceive… wish someone would do some studies on this! 😉 Nevertheless, we are very excited to sit in our warm sauna with a foot of snow outside and negative temps! There seems to be significant disagreement on the use of saunas for women TTC. One of my doctors says absolutely no saunas and the other one says I should do saunas (infrared) as a form of detox during the preconception time. A google search turns up opposite results as well. Do you have any perspective on this? I’m not finding the specific info on the link, but what model sauna did you buy? Is it full spectrum or far infrared. So many choices. We’re looking in investing to help our son with lyme. hello! Are there any suppliers in Australia? 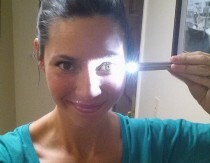 EMF’s are a huge concern for Sperm count. Harvard did studies on this, so please do your own research. Laptops should be trashed, and your house hard wired for computers as well as phones. Dr Divera Davis PhD is an expert. May have the wrong spelling for her first name. Our house would never hold any thing this size. Cost, power usage, size are always such huge considerations. My fears are always, so many bells and whistles mean issues for us, as we live in the wilderness. Service and delivery are always a problem. Enjoy all and report back. I have a sauna like yours. My husband bought it at a Habitat Re-store thrift store for $50. No one was certain if it worked, but for $50, we took a chance. It worked and still works today! There was another higher end sauna with seating for six that was being sold at the same store for $800. It was beautiful and had been tested and we knew for sure that it worked, but that was more than we could afford. I enjoy the benefits of my sauna and my 14 year-old uses it too. One thing I don’t like about it is that I get very tired and sleepy in it and there’s no where to lean my head. A friend of mine let me use her sauna once (before I got mine) and hers was a cocoon-style type where laid down on a bed (the size of a doctor’s office exam table) and pulled a cocoon type of cover over myself. I only pulled it up to my neck, although it could go over my head as well. That was so comfortable compared to the sit-down type. I was able to nap while I used the sauna. I will continue to use mine. I have Lyme disease and it helps me with detoxing and relieving symptoms. I just wanted to put it out there for others to consider how it may be tiring for some to sit there with head slumped over in an uncomfortable position because of fatigue while using it. Whoa, so awesome that you found one! Did you find a one person sauna or two? I find that I can very comfortably recline in my two person either by stretching out across the bench or leaning on my ergonomic backrest. I can see how that might be an issue with a one person sauna, though, without the backrest. Did you personally check the EMF levels of your sauna? I’ve read several companies say low EMF, but when tested, they read differently. I’m just curious if you’ve tested, and what the number is that you’ve found. Also, what is the temperature range of this sauna? How high does it go? I was also curious if this is ok for someone with rosacea, eczema or psoriasis? My husband has psoriasis, and I want to make sure this would be beneficial for him, and not make it worse. Your skin looks great by the way…radiant! Thank you! ? Thanks Heather! Also, what temperature does your sauna go to, and do you know if there are any benefits for someone with psoriasis or rosacea? It goes up to 158F, whereas traditional saunas are upwards of two hundred degrees. Traditional saunas use very hot ambient air to heat the core from the outside in, whereas our bodies naturally and quickly absorb infrared heat (like the heat that comes off sand at the beach) and therefore core temp rises faster. I like both but my husband likes infrared much more because traditional saunas can feel very stuffy and hard to breathe in. I know of a few biohackers that have rigged their infrared saunas to go higher, but I don’t think that’s necessary. 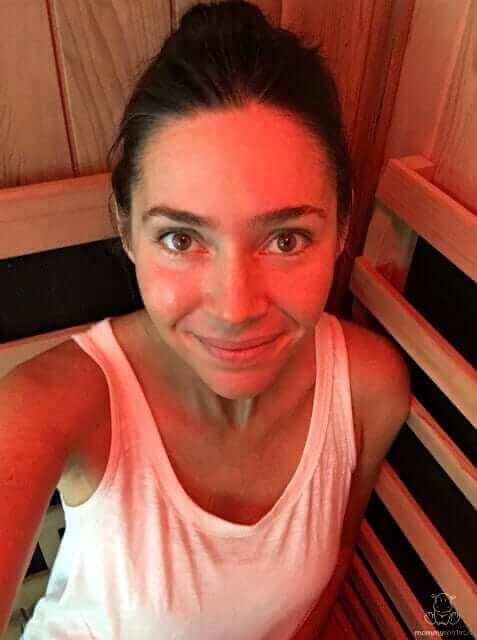 I’ve been in quite a few different saunas and I can say for sure that I sweat more in mine than any other I’ve tried, and I know I’m activating heat shock proteins, balancing my sympathetic/parasympathetic response, et. Hi Heather! I’m having a tough time deciding between this Clearlight Sanctuary Sauna that you reviewed and the Sunlighten Mpulse sauna. It’s a huge investment and I want to make sure I’m buying what’s best for my family’s health. Did you happen to look at Sunlighten’s saunas when you were deciding on the Clearlight? I think I see why you took my request for help with my Health Mate Enrich 2 sauna backorder and issues off the comment section and didn’t get back to me. The shelf they eventually sent cannot be put together as the holes don’t match up. So that’s another issue I have to take up with them. I still don’t have the AM radio as advertised either. 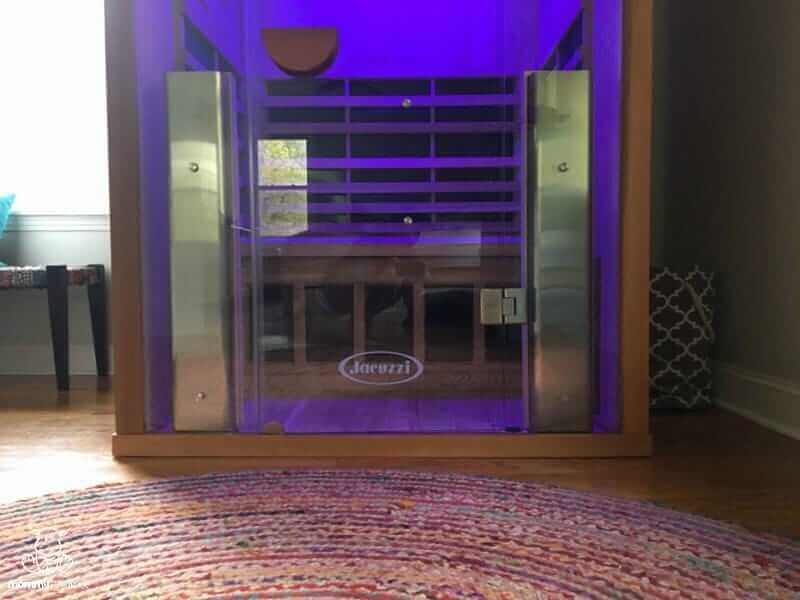 I raved about this sauna to my parents who also bought the same one, but from a different seller at an even better price. Before purchasing the Health Mate, I did consider another maker with a lifetime warrantee, but went with your recommendation. I hope it lasts for years as my family and I enjoy it very much and I believe that it will help me recover from Hashimoto’s. God bless you and thanks for the update. Hi Laura, I reached out to you via email last May but never heard back – maybe my message went to your spam folder? If you’ll reach out to me at [email protected] I’ll see what I can do to help. 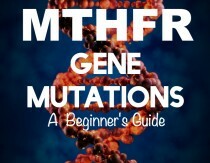 Hi Heather, I’m a fan of your website and I value the information that you publish. I followed your recommendation this time last year and purchased a Health Mate Sauna. Imagine my confusion when you posted a nearly identical article recommending Jacuzzi instead. The photos are even nearly identical to the ones you used in the Health Mate article, only this time a Jacuzzi sauna is pictured. Can you elaborate as to why you switched? Hi Amanda, thanks so much for your comment. I think the most important thing you probably want to know is whether I still think the Health Mate sauna is a good one, and the answer to that is yes. 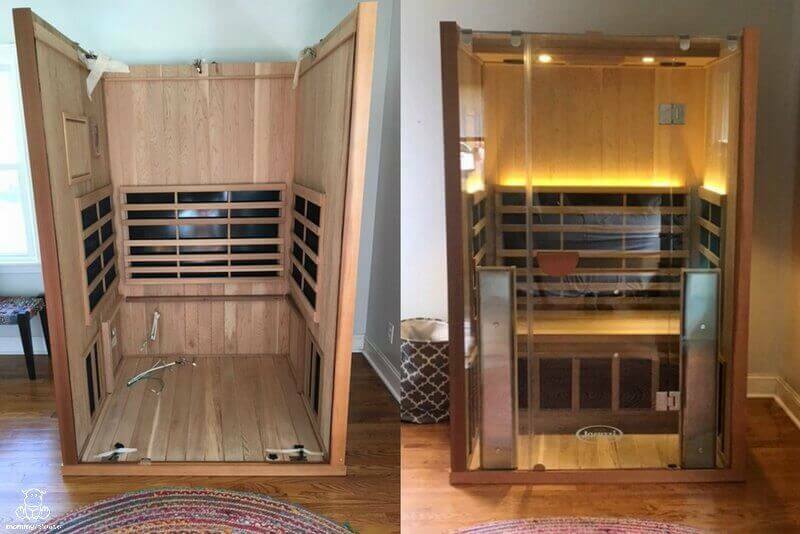 When I decided to update my recommendation – which I will explain the reasoning for in a moment – I actually donated my Health Mate sauna to my local functional medicine doctor so that it could benefit more families on their path to healing. The reason I updated this post with a new company recommendation is that several readers reached out to me after having extreme difficulty with the customer service department. I worked hard to help them get their problems resolved and tried to encourage the company to improve responsiveness to customers after their purchase, but unfortunately there are still significant issues with customer care. Because I love sauna therapy and want to be able to continue to recommend it, I decided to update my recommendation to Jacuzzi because they make an amazing quality sauna and have an excellent customer service track record. This was not a decision that I took lightly, but considered over the course of many months. I hope you continue to love and use your sauna, and if there is ever a customer service issue I am 100% here to help if you think it would be beneficial – my email is [email protected] if you ever need to reach me. A quick note on why the photos seem so similar – I recently re-photographed the magnesium supplements in this post (https://www.mommypotamus.com/magnesium-supplements/) after one of the previously recommended products was found by an independent third party not to be as pure as it claimed. The photos are almost identical, not because I intentionally made them that way, but because I’m just photographing the stuff in my house and I tend to choose the same shots/angles out of habit. Thank you so much for clarifying! We are enjoying our sauna and haven’t had any issues requiring customer service. Thank you for your careful research and for providing so much valuable information that others can benefit from! HI! I had TBI from a truck wreck 3 years ago. The sauna in combination with cranial sacral work and specific osteopath WITH CBD oil helped me out a lot. No more migraines and I can garden now. Hi Heather! Thank you for all of your wonderful articles! I think the sanctuary 2 would require a 20 amp outlet, and if so, is it difficult to add that, and was it terribly expensive? I have also been reviewing saunas to exhaustion. I want to know if during your research time did you review Vital Health full spectrum saunas and if so what do you think? I want to make my final decision before Christmas. I’m also curious about Vital Health….bouncing between the two companies! We had a HealthMate that lasted for 18 years, so I can’t say anything at all bad about that company, but after researching we’ve decided to go with either a full spectrum Clearlight or Vital Health. We definitely want floor heaters, which you can obviously see in the Vital Health saunas, but Im confused on how there are floor heaters in the Clearlight with solid wood planks. Interested to hear your thoughts!! Thanks!! I bought the HealthMate sauna last year when I found your post on the benefits of infra-red therapy. I really do not have any complaints about it and found the customer service to be excellent. 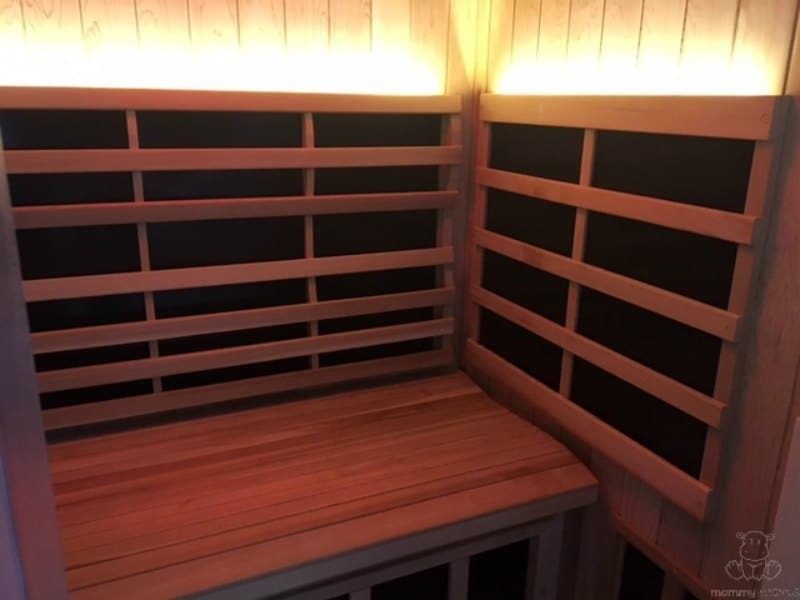 Now that I am reading about the one you have switched to I am curious if you think it would make sense to put one or two near infra-red lamps in my sauna to expand the therapy. I would use them simultaneously or separately I suppose. It is not in the cards to change to the Jacuzzi–the HealthMate is very close to getting paid off! Thank you for you input. Hello, I just purchased a Durham portable sauna but would ultimately like to upgrade to one like yours lol. If you ever move do tou have to take apart your sauna???? Just curious. I’ve been trying to decide between the Sanctuary II and mPulse believe. Did you happen to consider Sunlighten? If so, was there a specific reason you chose Jacuzzi over them? Thank you!